Beauty is in the eyes of the beholder, wrote Plato in the 3rd century BC. Well, so is value, writes me today. If buyers don’t see the beauty or value of what you sell, that’s value blindness. And buyer’s value blindness will stop your sales opportunity right in its track. 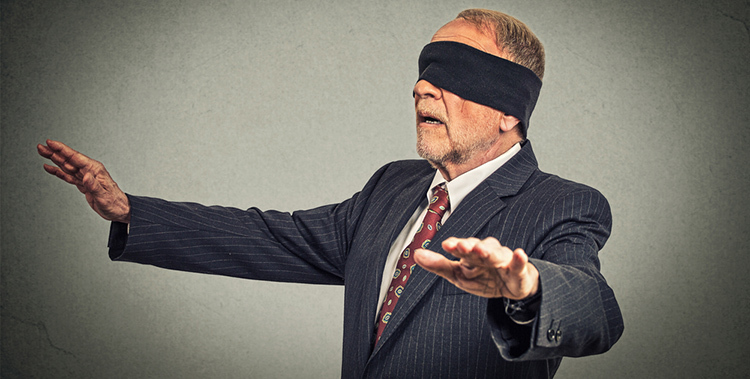 Value blindness can create a big problem when trying to convert leads- if it’s not easy for the buyer to see the value of your solution, they most likely won’t put the energy into figuring it out, and then you’re out! I’ve seen and heard it over and over again, a buyer gives a seller time to discuss their solution and then the seller starts their diatribe of what the solution does or how the solution will be delivered or implemented. The buyer’s eyes start to glaze over (that’s value blindness) and their mind wanders. They may not connect the whats and hows to what it means for them. Maybe you’ll hear an outright “No thanks” but for most buyers it’s easier to stall, object to silly details, or avoid you. 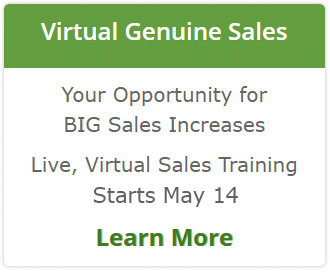 Think of the wasted time and energy on those sales opportunities. It makes me cringe. What you need to do is lead the “blind” buyer to the light to see the value of the solution for them specifically. The step-by-step process he would take to onboard them and manage their investments. The schedule of their meetings and what the agenda would be each time they got together. The tools he would use and they would have access to. The legal and fiduciary responsibilities of his role. Yawn…the prospect wasn’t that impressed and needed to “Think about it.” They thought the four hours a year in meetings with him wasn’t worth the fee he quoted. Time to focus on their growing family knowing that their investments were being managed without them checking accounts every week. Accountability to stay on track with their saving as they told her that was important. A professional who stayed abreast of all things financial every day addressing their ongoing concern that they weren’t staying current and were losing out or at risk. Scheduled meetings to review status and update the plan if needed as well as access to her throughout the year for any questions, ideas, or concerns. This would mean they were not abandoning any responsibility for their financial well-being. The prospect was able to see the value of her services and what that would mean to them. They agreed the fee would be worth it. The difference? When we explain what we do or offer, its only part of the story a buyer needs, and not necessarily the scene stealer. They need to know how what we do or offer specifically matters for them. That’s where selling gets more interesting, doesn’t it? There is no one-size-fits all value statement. There is no one way to always explain your solution. This doesn’t mean we have to reinvent the value story each time. Your sales conversation might be 95% the same or even 98%, but the difference is how the sale is really made. The difference is how you connect what you do specifically to what is important for that buyer. Connect value to your solution to make it easy for them to see how their problems or concerns will be minimized or removed; how your solution will help them do something better or save something they never thought of; and how their emotional wants and needs will be met. The buyer will give you attention and confidently be able to say, “I’m ready.” or “Sounds good.” That’s what happens when you make it easy for them to “see” the value. Very interesting. I never knew there was something called ‘value blindness’ this article opened my eyes.